Vicki confidently handles all the administrative aspects of our business office. Vicki was born and raised in southern California. She served in the U.S. Air Force for 10 years before settling in San Antonio in '94 and began working in the dental field. 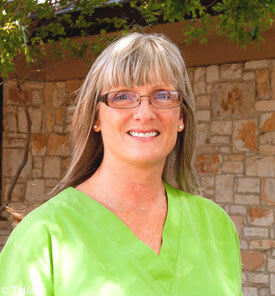 In 2003, she moved to Kerrville and began working with Dr Brown. Favorite pastimes are spending time with her family and friends. 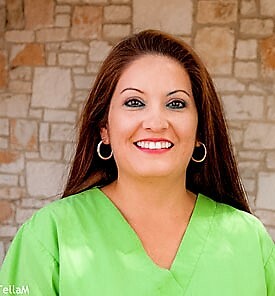 Sandy graduated from the Dental Hygiene Department of Del Mar College, Corpus Christi in 1985. Sandy has been working with Dr. Brown since 1991. "Dental Hygiene has been a very rewarding career. "I learn so much from listening to each patient, they all have something valuable to say." She was born and raised in Sacramento, CA, She married her husband Michael in 1981, and moved to Texas where she raised their beautiful daughter, Nicole. Her passion is competitive horseback riding. Sandy and Michael travel all over Texas showing the horses they raise. Margo was born and raised in Kerrville, she and her husband, Mario have two wonderful children, a son, Ryan, and a daughter, Morgan. Margo has enjoyed working with Dr. Brown since 2002 and loves meeting new patients as well as visiting with existing patients. 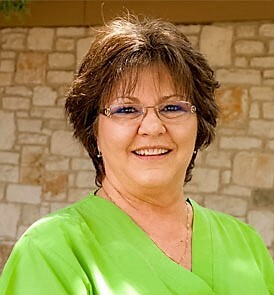 Genevieve began her dental assisting career in 1972 in Texas City, Texas, where she was born and raised. She continued to work in the dental field until 1986 when she moved to Kerrville and became employed by the US Postal Service. While working for the USPS she met her husband, James. Together, they have one daughter. After 15 years with the postal service, Genevieve went back into the dental field and has been employed by Dr. Charles Brown since 2007. 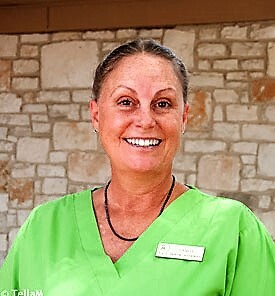 She enjoys the "laid back" lifestyle of the Hill Country and being with her friends and family. Daynah graduated in 1989 from UTHSC of San Antonio, after a year at Texas A&M in pre-dental. She is a fifth generation Texan and has lived in the hill country since 2001. She has always had a dental background, her dad (a dentist), retired in 1992. Daynah has worked with cosmetic, periodontal, and general dentists. Since 2014 she’s been in Dr Brown’s practice helping his team improve the overall health of this great community. I have practiced in a variety of general practices, as well as periodontal practices. I relocated to Kerrville from East Tennessee, along with 10 of my four legged family members, in May of 2014. I applied for and recieved my Texas dental hygiene license in 2015. Since January 2016, I have been happily working with Dr Brown. The schedule, practice, and staff are a perfect fit for me at this stage of my career. I appreciate the opportunity to work with Dr Brown and the entire staff in helping our patients achive optimal oral health.